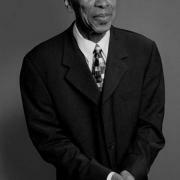 On Dec. 9, The ASCAP Foundation will add four artists to its Jazz Wall of Fame in New York City. Saxophonist Ornette Coleman and trumpeter Arturo Sandoval will be inducted as living legends along with posthumous honorees vocalist-bandleader Cab Calloway and bassist-composer Charles Mingus. Additionally, bassist-vocalist Esperanza Spalding will be awarded ASCAP’s Jazz Vanguard Award, which recognizes innovative musical activity. Coleman, 83, was born in Fort Worth, Texas. In 1959, he released The Shape Of Jazz To Come, which pointed the way to the avant-garde and free-jazz styles of the ’60s. Cuban-born Sandoval was a member of the Afro-Cuban ensemble Irakere and toured as part of Dizzy Gillespie’s United Nations Orchestra. In August 2013, he was awarded the Presidential Medal of Freedom. 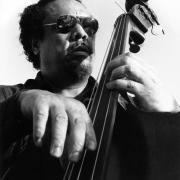 Among the many groundbreaking albums released by Mingus (1922–1979) was Mingus Ah Um (1959). 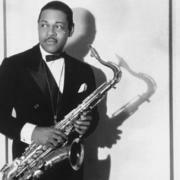 His musical legacy is carried on by the Mingus Big Band, which performs his works. Calloway (1907–1994) led one of the most popular big bands of the swing era and co-wrote the hit song “Minnie The Moocher” (1931), which sold over 1 million copies. Spalding was voted Jazz Artist of the Year in the 2012 DownBeat Readers Poll, and her album Radio Music Society (Heads Up/Concord) was named Jazz Album of the Year in the same poll. Other ASCAP Jazz Wall of Fame honorees include pianist-composer Mary Lou Williams (2005), guitarist Django Reinhardt (2007), pianist-composer Thelonious Monk (2010) and pianist-vocalist Nina Simone (2011). ASCAP will also honor the recipients of the 2013 Herb Alpert Young Jazz Composer Awards, which recognize talented composers under 30. The national competition was judged by Anat Cohen, Wycliffe Gordon and Jay Leonhart. Presenters and performers at the invitation-only Jazz Wall of Fame event on Dec. 9 will include Leonhart, Chris Calloway Brooks, Roy Campbell Jr., Denardo Coleman, Tony Falanga, Boris Kozlov, Al Macdowell and Rufus Reid.